Speed controllers provide a necessary control mechanism to maintain a safe, measured pallet flow and speed as they advance down the lane. 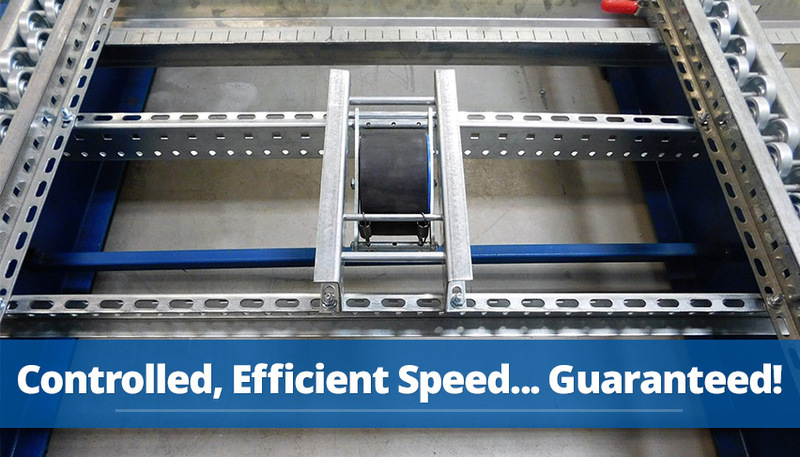 Acting as a sort of braking device, the speed controller slows the pallet and prevents it from gaining too much speed in the gravity-inspired process. Slowing the pallet provides better lane tracking which helps ensure that the pallet arrives squared with the lane opening at the pick face, thus facilitating a faster, easier forklift extraction. The ABMA speed controller is a drop-in device ideal for retrofit applications. The controller can be installed easily into existing systems that may require additional control for pallets to prevent dangerously fast pallet movement. Mallard speed controllers are available in light, medium and heavy-duty options to best meet your pallet flow inventory needs. For the sake of simplicity we are sometimes asked for a single pallet flow lane design to accommodate several different pallet types with assorted inventory. After careful design consideration and lane testing the Mallard team can often deliver a universal system, but there are times when a varied configuration would be more beneficial for our customer. 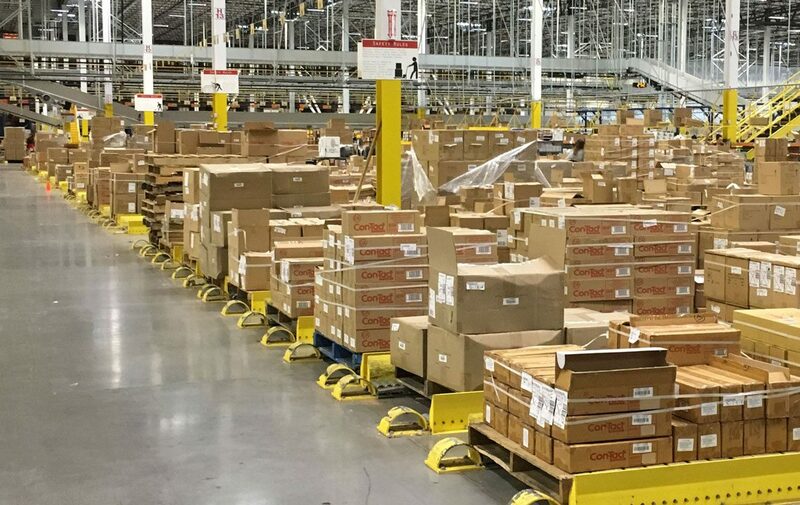 To learn more about the challenges of universal pallet flow use, check out our blog. To speak with our gravity flow experts about your specific inventory needs, call today.